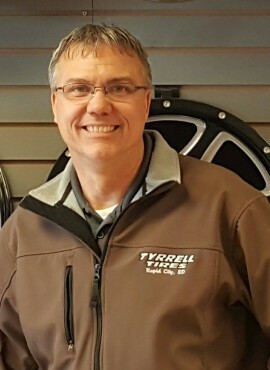 Scott has been in the tire business for years. He worked for Goodyear in Florida for 8 years before he moved home to South Dakota. He then decided to open his own shop in April of 2012. During that time he has moved and expanded his shop into the new location at 105 N Cambell Street. In his free time which is very minimal he likes to race his Midwest Modified, hunt and spend time with family.